Back in the early 1950s, after I left the hospital and headed home, I suddenly found myself living in a world filled with major obstacles and challenges I was not prepared to face. The only way I could get around was in my wheelchair. I remember coming home and my dad laying down two 3⁄4-inch plywood sheets on top of each other in order to push my wheelchair up the outside steps to our front door. Inside, many of the hallways and doorways were too narrow, and no way was I able to get upstairs to the second-floor bedrooms. It seemed every part of my parents’ home was inaccessible. I felt I had been stripped of my independence! A number of years later I was fortunate enough to walk again. I attended college night school under the GI Bill, majoring in product design, architecture, and construction. In the following years, I somehow “forgot” what it was like to rely on my wheelchair for mobility. For more than three decades I designed and built living and working environments. Then, in 1999, I closed down my design/build business and formed Shared Solutions America, a national nonprofit organization dedicated to showing people how to apply Universal Design principles to help people of all ages and levels of ability achieve maximum performance of daily tasks and activities in living and working environments. As I reflect on the past four decades, I am in awe of how far we have advanced in energy-efficient construction, along with assistive and adaptive technologies. When preparing to build a new or remodel an existing accessible home, it is essential to not only consider the home’s floor plan and design elements but also to incorporate energy-saving sustainable materials and products. As long as you own your home, you will have to pay substantial monthly electricity, gas, and water bills—which will increase in cost in the months and years ahead. Think of your home as a “system.” It consists of components or “subsystems” that are supposed to work together to provide you with a comfortable, accessible, functional, energy-efficient, sustainable, and safe place in which to live. When the entire system is working right, each component makes its contribution. But when one part doesn’t do its job, or just does it part way, it can throw off the entire system and adversely affect your level of independent daily living—while unnecessarily increasing your monthly utility bills and negatively affecting your level of comfort, health, and safety. The first component applies to how well the design elements of the home help maximize our ability to successfully perform daily-living tasks and activities. 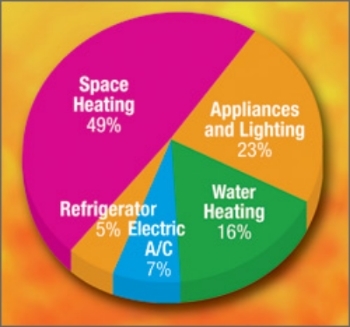 The balance of the system’s “components” relates to how the home is built, including the “right” selection of materials, products, and technologies. If we can successfully make all the components work right, we have a home that is correctly designed to be fully accessible…and one that is very energy efficient, saving you lots of money through the years ahead. These components can be successfully combined! Universal Design is the process of designing and building living, working, and playing environments, and products that are usable, to the greatest extent possible, by everyone, at all stages of life, regardless of age, size, level of ability, or preference. Applying the principles of Universal Design simplifies life for everyone by making living environments more usable by more people—whether they are family members or guests—by allowing them to remain in the home throughout the various stages of life, from childhood to parenthood and through retirement. One of our greatest desires is to be able to continue to stay in our own home. We want to maintain our sense of control and independence. Our home is our security. In it we decide what and when to eat, the time we go to bed or awake in the morning. The control we wield in our home is the source of our independence, dignity, and quality of life. 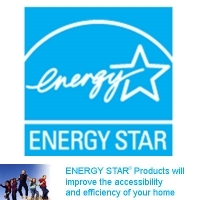 Most of us would like to see our monthly energy or utility bills drastically reduced. Each month we pay for the comfort and utilities we enjoy in our homes. We pay to keep warm in winter and cool in summer. We pay to have hot water, heating, and cooling; for lighting; and for our toast, coffee, television, and computer. Having an energy-efficient home means we can enjoy the same level of comfort and conveniences using much less energy, and thus reducing monthly utility bills. In my forthcoming series of monthly articles, I will try to show you how to build your new home, or remodel your existing one, successfully integrating the components of “the system” to result in a home that works. It will be fully accessible—and energy-efficient!